Over the years products come and go, sometimes colors get discontinued or a formula changes. Here are my top ten make-up items that I know I can trust, with some special mentions that I also use. Naturally, I’m always on the look out for new items to use along side my favorites and to hopefully discover new ones. These are the items that have never let me down, and when I need to be confident my make-up won’t smudge or fade, these are the items I turn to. M.A.C. Studio Fix SPF 35 Concealer (7g £15.50 / 0.24 US oz $19): A good reliable concealer can hide a multitude of sins. My previous favorite (Kanebo) was discontinued, and this is the closest I have found to it. Housed in a small pot, it’s concentrated, giving maximum coverage using a small amount. The best way is to use it is with a small firm brush to apply it, or with fingertips (unless you have long nails), dab, and blend with a brush outwards. This is an item worth investing in, as it lasts all day. A special mention to The Body Shop Concealer (pencil). At only £2 ($11), and in five shades this pencil gives light and even coverage. It’s ideal for traveling, and blends easily with the fingertips or a sponge. Chanel Nail Polish (13ml £18 /0.4 oz $28): This little black box doesn’t let me down: the brush holds enough for a single nail application, it’s smooth, the color is true, and it lasts. My only issue is that they discontinue colors frequently, so I have to bulk buy my favorites. Essie (13ml from £5.99 /0.46 US oz $8.50) deserves a special mention as it has a great range of colors and the application is even. It lasts a couple of days and without chipping or flaking. Nars Lip Gloss (6 ml £19/0.18 oz $26: I’ve been using this for years, and although I have other brands, this one is the hard wearing one. It can last through cups of coffee, breakfast, and lunch without any touching up. I used to run events and I was always pleasantly surprised to still have lip gloss on after five hours despite eating, drinking, and lots of cheek kissing. Sadly, they have discontinued my favorite shade, but I stocked up. N.Y.C. Cheek Glow (8g $2.99): (http://www.newyorkcolor.com) This was a bargain find in a drugstore in New York. The colors remain true and last long. I have yet to find a blusher that has the staying power, at this price and with a great range of colors. Guerlain Terracotta Moisturizing Bronzing Powder (10g £35.50/$52): This is a beauty classic, and is great when you need color without being too obvious. It may seem expensive, but the coverage is light and is easy to blend. Invest in a good brush and it will last a long time. I use this over concealer during summertime, or when I want a light and casual look. Nars Lip Liner (£18/$24): Thankfully my favorite shade has not been discontinued (Morocco); a creamy formula, which allows perfect precision when applied. I outline the lips and then use the lip liner all over as a base. Sometimes I only need to use a little Carmex over the lips for a casual look. The pencil doesn’t pull or drag, unlike others, is gentle but doesn’t smudge. A perfect balance of texture, with a professional application. Lancôme Le Crayon Khôl (1.8g £17 / $26): One of the best eyeliners there is that has staying power and doesn’t smudge, unless you want it to. 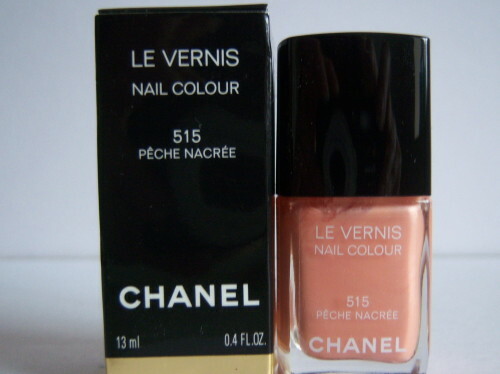 They have discontinued my favorite color (brun noir) so I am on the look out for a replacement. Fortunately the pencils last a long time, so I have time to hunt out some new ones. Nars Lipstick (3.4g £21/ $32): The intensity of the colors is perfect, and what you see is what you get. The texture is rich and you only need one application. This is a lipstick that won’t change color, will last for hours, and won’t fade. Shiseido Sun Protection Compact Foundation SPF 36 (12g £22/ $28): An all in one foundation that gives good and even coverage that is matte. The great thing is you can use this with a brush for a lighter finish over concealer, or with a sponge for a more finished look. You can also refill the compact or use your own compact, making it more economical. Kanebo Total Finish (12g £30/$40) deserves a special mention, even though they have changed some colors and the formula. This gives a full and even coverage and is available with refills. The finish is more for an evening look, or when you need full coverage on the go. Shiseido Stick Foundation SPF 15 (11g £29 /0.38 oz. $38.50): This is a great product for a light satin finish, which doubles up as a concealer and a foundation. I have used this in a multitude of ways and is great when for traveling or if you have a small make-up bag. You can use it with powder for a finished look, or without for a casual look. I use Liz Earle Cleanse and Polish mainly but have been swayed by Aldi Lacura face cream as you mentioned. I am now a convert.Thanks for the heads up! I’m also a fan of Liz Earle and her Cleanse and Polish. She has some new products I haven’t tried yet, but hope to do so soon.